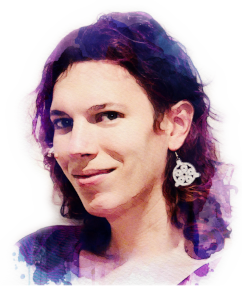 My name is Zoé, and I'm a freelancer engineer/artist with a soft spot for open-source and sustainability. I offer you my services in exchange for currency. I have high standards for ethics, which includes human and animal rights, freedom of expression, and non-violence. I refuse to work for military, mass surveillance, exploitation, cults, religious agenda. My strength lies in my multidisciplinarity, deep understanding, and adaptability. I see perfectionism as both a curse and a blessing. I want to leave the world in a bit better shape than I found it. With decades of passion for electronics behind my back, I can design, build, and test your custom circuits. My electronics lab is equipped with SMD soldering tools, a stereomicroscope, a 4-channel 100-MHz digital oscilloscope, a logic analyzer, various electronic parts and modules, and I'm proficient using them. I'm located in Wien (AT) with good access to transportation and the possibility for quick sourcing of new hardware. I love to obtain new skills and knowledge, and prefer to work on something exciting. I learn and build new skills fast. I prefer to use KiCad, and while I did use Eagle and Altium Designer 14 in the past, I do not have license for those (so I don't use them); if you need me to work with those tools, you have to provide the necessary license. Most expertise I have is in design and evaluation of low-power DC/DC switching power supplies. I have experience designing Li-Ion battery management systems, and would like to expand toward higher power applications. I am experienced with programming 8-bit ATmega microcontrollers in C (GCC/avr-libc) and in assembler. I used ESP8266 with Lua (NodeMCU) and ESP32 with MicroPython. I also programmed and debugged STM32-based systems. Recently I learned Verilog and I'm using the Lattice iCE40 with the excellent open-source logic synthesis toolchain. Proper documentation of any project is a key for future maintainability. Besides providing technical documentation for the work I do, I also offer the service of proofreading and formatting your existing documentation. Markdown and wikis are my choice for ongoing projects and prototyping. For press-quality manuals I use LaTeX for its excellent typography, and seamless integration into version control. Using Word documents is charged extra. I am proficient in English, German, and Hungarian. My operating system of choice for most purposes is GNU/Linux since 2004, both on desktop and on server. I offer consulting for server administration, upgrades, configuration, debugging. I have the most expertise on Debian-based distributions and Arch Linux. In the past I used Python, Java (Swing UI), C++, LabView, and sadly php. My skills are adquate for most small projects, but I'm not, and don't aspire to be an enterprise software developer. (That would require me to invest much more time in software, which would take from other fun projects away.) For version control I use git. In the future I'd like to learn Rust and Go. I like minimalist and accessible websites (like the one you're viewing right now), and can help creating yours. You already have a piece of hardware but don't know how it works? You need to interface that expensive undocumented proprietary piece to your systems? I got you covered! 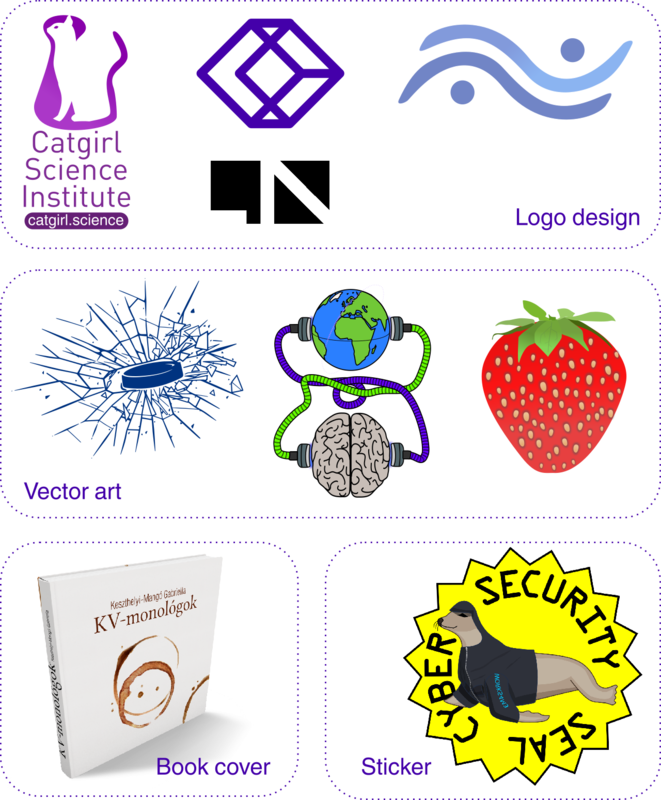 I have experience with vector graphics (using Inkscape) and I already designed dozens of logos, stickers, icons. A few examples below. I use OpenSCAD for highly parametric solid geometry design. A few examples. I used SolidWorks in the past. I have access to a Prusa i3 mk3 FDM printer, and can prototype with PLA and PETG plastics. In 2014 I started working for TI as a Field Application Engineer, supporting automotive customers with their power electronics designs. In 2015-2016 I worked as a Validation Lead, being responsible for the post-silicon validation of the TPS62135 DC/DC converter. This consisted of lab testing, test automation, test data analysis, coordination with other project members. In 2016-2017 I became a Systems Engineer, working on reference designs for industrial motor drives. Circuit and PCB design, testing, documentation. RS-485, BLDC and induction motor inverters. While I was a student, I worked 20 hours a week, doing IT / systems administration for the local IKEA. Fully Automated Battery Management System is a 12-cell Li-Ion battery monitor and balancer built around the LTC6811. Fully Automated Wireless Light Controller uses an ESP8266 to control either 12-V RGB(W) LED strips or WS2812-compatible smart LED strips. High EMC Immunity RS-485 Interface Reference Design for Absolute Encoders known as TIDA-01401 at TI. See its documentation for details. TUDAX, a custom voting system made for the Secretary of Hungarian Academy of Sciences, written in Java and using an OEM remote keyboard system which I had to reverse engineer. A now-dead CMS written in php from scratch. I think everyone has this phase in their life. Minor contributions to various open-source projects. Lots of lab automation in LabView + NI TestStand. Enough to know for sure that I rather prefer Python (which I also did). I hand-crafted this small website. Previously I worked with Joomla, and I deeply regret that. I designed and built (in a team) a compressed air-driven tricycle for a Bosch Rexroth competition. I learned to TIG-weld aluminium and it was fun! I made the electronics (pneumatic valve control) and microcontroller software. I designed and built a 96-cell Li-ion BMS for a Formula Student Electric car. I built with 2 friends together a RepRap Mendel back in 2012. Photography and videography. I would like to make more videos in the future. Elektromobilität und Energienetze MSc (Electromobility and Electrical Networks Master of Science), with a thesis about energy consumption measurement of embedded systems (TI DRA755 SoC). Mechatronika BSc (Mechatronics Bachelor of Science), with final project about State-Space Control of a single-axis carriage. Did I spark your interest? Send me an email to work at astech dot hu. We can arrange a phone / video call. My local time zone is CET/CEST. Would you like to know more about me? Follow me on the Fediverse at @uint8_t@chaos.social! My budgetary rate is EUR 60 + VAT / hour. For longer projects I can offer EUR 250 + VAT / day. Contact me for pricing estimates. Per-project fixed pricing is also possible. I offer reduced rates for non-profits, and open-source development. Pre-contract consultation is complimentary. I'm willing and able to travel.